We are slowly trying to catch up on our travel journal blog posts. This is the last post from the USA leg of our journey! After Arizona we headed towards San Diego. Highlights are below! 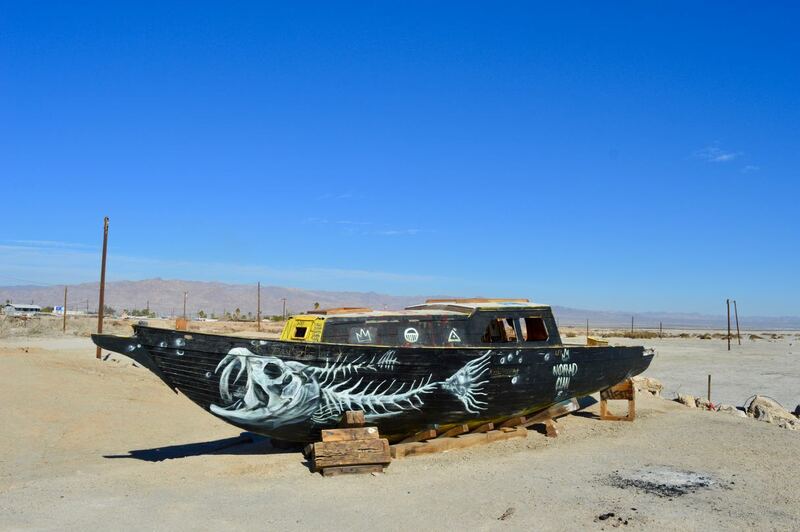 On our way over from Arizona we wanted to check out the infamous Salton Sea and made a stop at Bombay Beach.This obscure place is worth a visit. It’s a time capsule from decades prior. 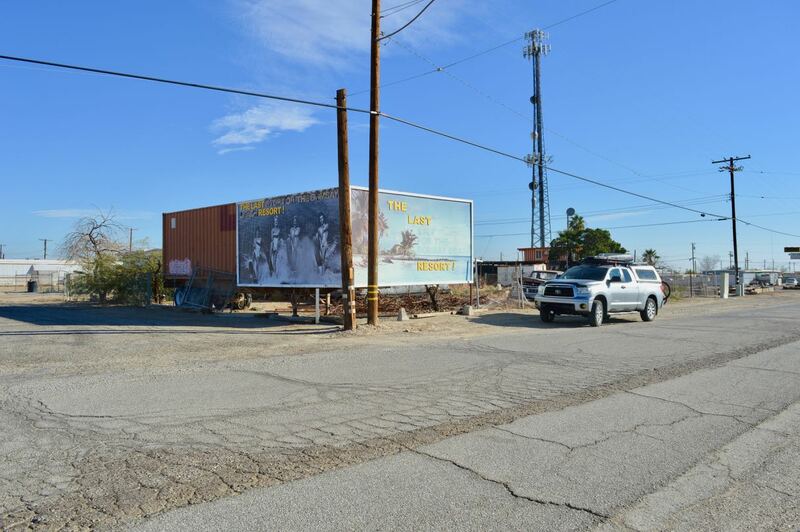 Bombay Beach was a thriving beach resort in the 1950/60’s, now it’s largely an abandoned wasteland due to the Salton Sea. 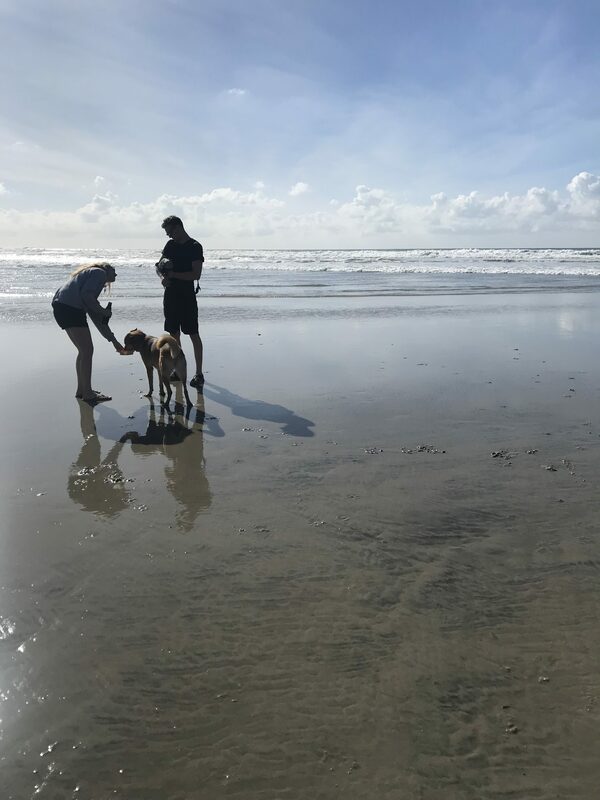 The Sea occurred naturally but because of no drainage outlet, almost zero yearly rainfall and agricultural run off it became significantly saltier then the Pacific Ocean. Eventually depleted oxygen levels killed all of the fish. The resort town did not last long and it seems as if most residents packed up in a hurry and deserted motels, boats, houses and furniture. All of this is still there now in disrepair or in some cases covered by graffiti artwork. It’s an odd yet interesting place to visit! 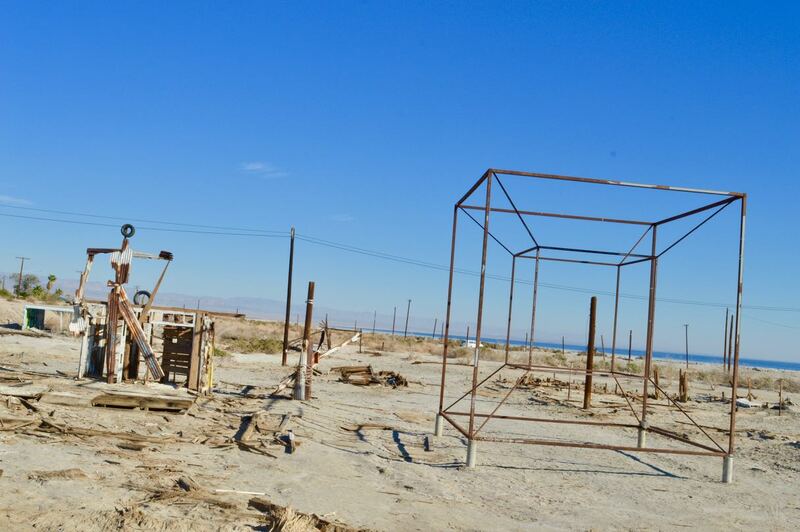 One of the many abandoned items at Bombay Beach. After two months on the road it was nice break to hangout with friends in San Diego! Thank you to Caitlyn, Aaron, Len and Kaylee for having us stay at your place and touring us around. There were three dogs running around the apartment most of our visit and I can’t imagine how much fur was left behind. Roo really enjoyed having buddies and was exhausted days later. We also picked up a used surfboard and are excited to work on our surf skills! If you are looking for a used surfboard in San Diego we recommend Coconut Peet’s! 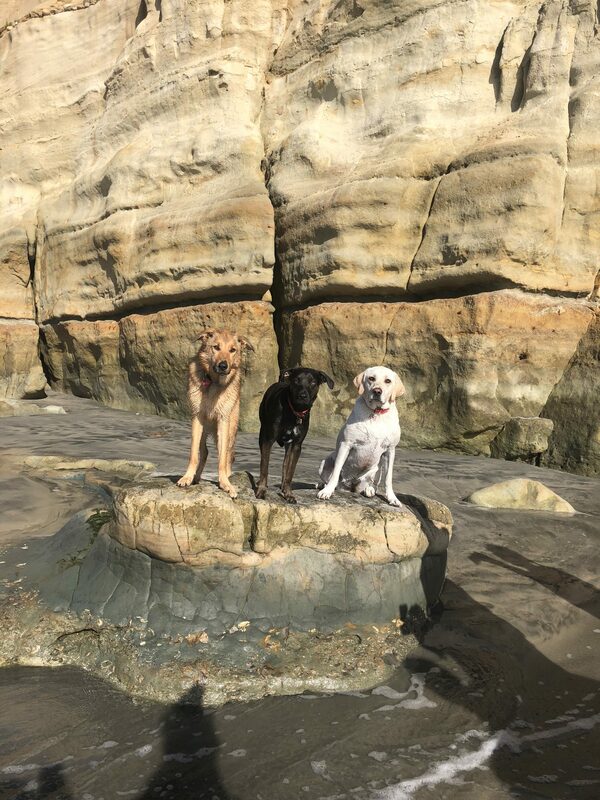 Dog friends hanging out at Del Mar Dog Beach. Roo is rehydrating after learning salt water isn’t super tasty! In San Diego we prepared for our border crossing into Baja, Mexico. This included taking out more cash, getting an oil change, cleaning out the truck and taking Roo to get her vet health certificate. You need to have the dog vet checked within 10 days prior to crossing the border into Mexico. The main concern is making sure your dog is up to date on their rabies vaccine and has had heart-worm/parasite treatment. Once we were all set we headed to the town Potrero which is right beside Tecate and the border crossing. We wanted to be able to cross first thing in the morning and avoid any lines. We were successful and didn’t wait in line for customs at all, check out our detailed border crossing post here.